Kill the pirates with your ninja sword. A hard fighting sidescroller. 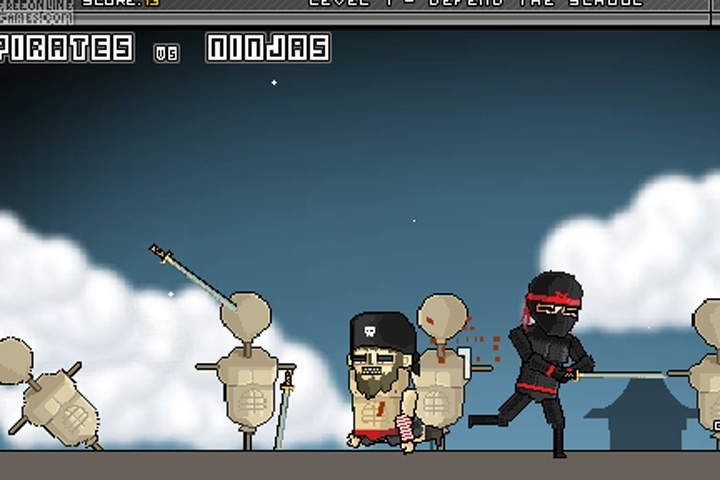 Fight as a ninja and pirate as you progress. One stab and your dead! If you want to play Pirates vs Ninjas games online you have come to the right place! GamesLoon adds new Pirates vs Ninjas games every week. This is your game portal where you can find the biggest collection of free Pirates vs Ninjas games online. Do not forget to rate our Pirates vs Ninjas free online games while playing!